Hospitality in Paradise offers fantastic value throughout the season. Watch the Champions in style while soaking up an unbeatable atmosphere. Scroll down for details or contact a member of the hospitality team who will be happy to discuss a package to suit your needs on 0871 226 1888* or via email [email protected]. For single match hospitality click here. Or to join the waiting list for 2019/20 click here. Overlooking the pitch, the iconic Number 7 Restaurant is dedicated to honouring some of the best Celtic players of all time, combining amazing experiences with stunning settings. A champagne receptions precedes a sumptuous four-course pre-match meal and complimentary bar. A padded seat awaits in the Jock Stein stand, with the complimentary bar reopening post match with the Man of the Match presentation taking place. On-site car parking, a matchday gift and a programme are all included. Our fantastic Club Celtic lounge sold out for season 2018/19 following phenomenal response from supporters. For the first time you can renew your Club Celtic Seasonal Hospitality online making it easier than ever before to renew your place at Celtic Park for the campaign ahead. No booking fees apply when you renew online. 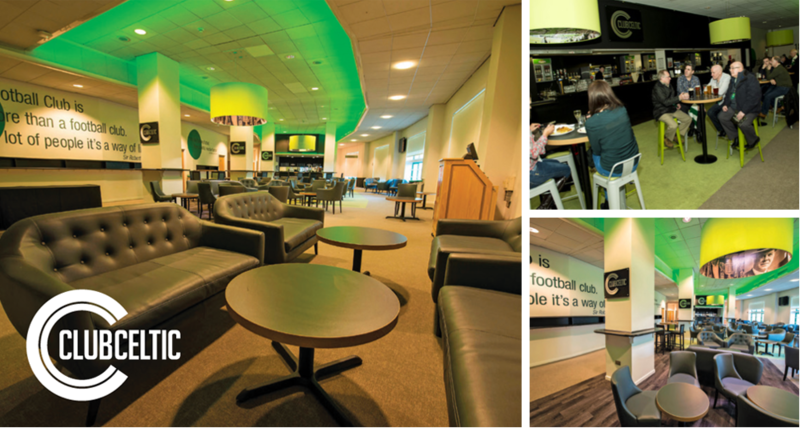 Once again, the fantastic Seasonal Hospitality in the Club Celtic lounges offers an impressive list of benefits designed to create magical matchday experiences throughout the season. Club Celtic Seasonal Hospitality is valid for all SPFL home matches and home League Cup and Scottish Cup matches plus all UEFA Qualifying matches. So don’t miss out, renew now for what promises to be another unforgettable campaign. Together, let’s soar into the new season… and unleash the Power of Paradise. To be in with a chance of securing a seat for the 2019/20 season, you can now sign up to our Waiting List. Situated in the North Stand Club Celtic offers a host of impressive benefits to enhance your matchday experience throughout the season. With a smart casual dress code, it’s the ideal place to soak up the pre-match atmosphere with friends and family. Membership gives you lounge access before and after the game where you’ll have the opportunity to purchase hot food and drinks from our fully licensed cash bar. 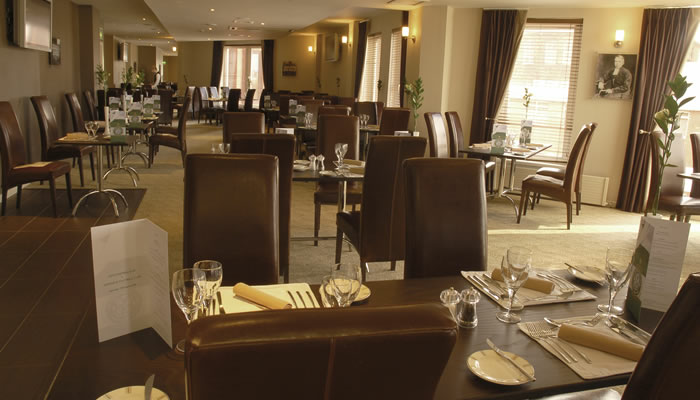 With a variety of hot and cold bowl food and a traditional carvery on offer, you’ll find something to suit your tastes. Complimentary half time tea, coffee and snacks are also included along with a matchday programme which you can enjoy from the comfort of your padded seat in the North Stand while you wait for the game to kick-off. To join the Season 2019/20 Waiting List click here or for more info about the Number 7 Restaurant or the range of other hospitality options available, please contact the team on [email protected] or 0871 226 1888. We have boxes available for 8, 10 and 12 guests. The largest is the Skybox, which holds 12 and has spectacular views. 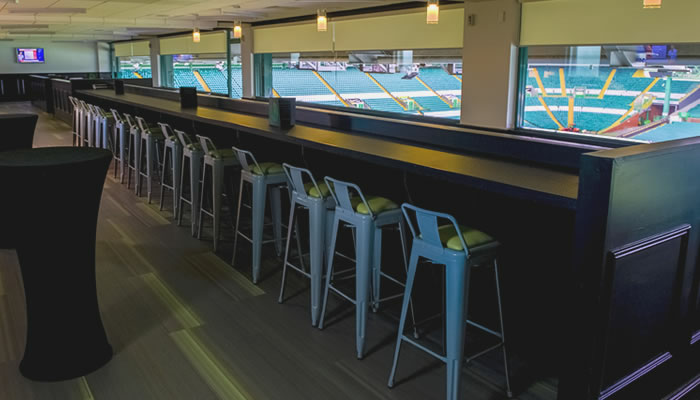 With The Walfrid Restaurant seasonal hospitality package you can take in every match from the Directors’ Box – one of the best views in the house. On arrival, follow in the footsteps of legends by entering through the front doors of Celtic Park. 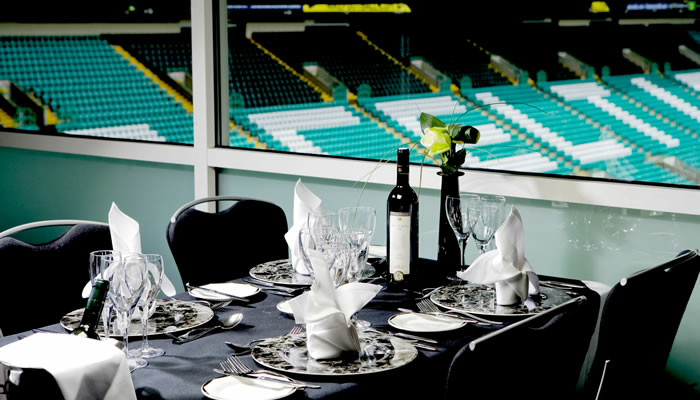 From there you’ll have a champagne reception in the Boardroom*, feast on a four-course fine dining menu and exquisite wine list in the salubrious surroundings of The Walfrid Restaurant before kick-off, with a complimentary bar available pre and post-match. Half-time snacks, tea and coffee are included together with on-site parking, a matchday gift and programme. The Executive Club at Celtic Park is recognised for its excellent service and friendly, welcoming atmosphere, built on a well established reputation for serving supporters and businesses alike over the years. Offering some of the finest seats in the stadium within the Directors Box, the Executive Club offers traditional matchday hospitality at its finest and is one of the most sought-after hospitality areas at Celtic Park. Membership gives you lounge access before and after the game where you’ll have the opportunity to purchase hot food and drinks from our fully licensed cash bar. Complimentary half time tea, coffee and snacks are also included along with a matchday programme which you can enjoy from the comfort of your padded seat in the Main Stand while you wait for the game to kick-off. A beautiful but relaxed lounge with a contemporary and vibrant atmosphere offering stunning views across the stadium, Cafe 1888 offers a fresh take on matchday hospitality. With a relaxed and informal dress code, you can enjoy complimentary beer, wine and soft drinks with relaxed ‘tapas’ style dining to ensure your pre-match needs are well taken care of in our indulgent Cafe 1888. Honouring one of the greatest Celtic captains of all time, this suite in the impressive North Stand offers excellent food and friendly service in a relaxed atmosphere where a pre-match hot fork buffet and complimentary bar are on offer. This extremely popular suite offers outstanding panoramic views of the stadium and will give your friends and family amazing memories that they will cherish forever. Seasonal hospitality at Celtic Park is the perfect way to entertain, so make sure you don’t miss out.